A cancer charity set up by a late eventing rider has been named as the official charity for Olympia for 2017. 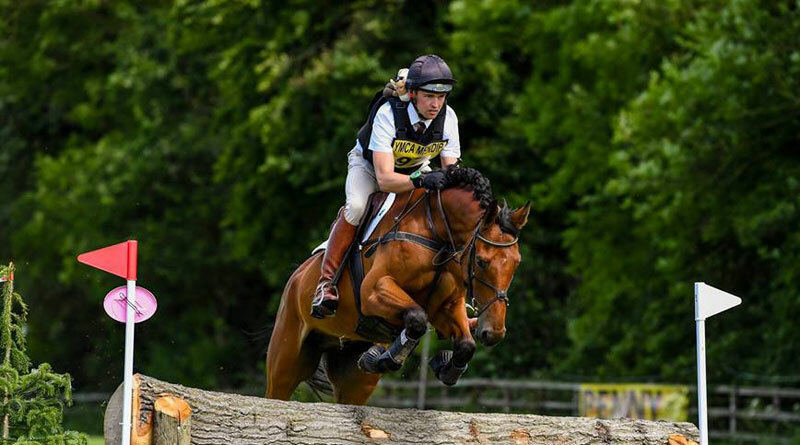 Hannah’s Willberry Wonder Pony, founded by successful young event rider Hannah Francis, aims to support vital research into osteosarcoma, together with granting Willberry’s Wishes to seriously ill people with the aim of enriching their lives through equestrian experiences. Hannah was so touched by the generosity of many in the equestrian world who allowed her to do likewise, and was determined to be able to do the same for others. Hannah set up the charity – with the tagline #KickingCancersButt – when she was diagnosed with a rare bone cancer. The charity has continued to grow and capture the hearts of the equestrian community, raising £750,000 in public donations within a year of becoming an official charity. The charity has received an extraordinary amount of support from the equestrian world, particularly the dressage and eventing community, including Olympic dressage star and charity patron, Carl Hester, and international eventer, Ben Hobday. Hobday completed the cross-country phase of Badminton Horse Trials in 2016 accompanied by the charity mascot, Willberry. Kitty King is the charity’s third patron and has been immensely supportive. Willberry the Wonder Pony has travelled around many cross-country courses with riders supporting the charity set up by Hannah Francis. Show producer Simon Brookes-Ward said Olympia, The London International Horse Show, was proud to be supporting such a fantastic charity that is cherished by so many riders, and equestrian fans alike. “Hannah’s Willberry Wonder Pony is a great charity that has drawn together so many through a common interest. We hope that the partnership can benefit this cause greatly, not only through increased awareness, but also in terms of fundraising and granting Willberry’s Wishes,” Brookes-Ward said. Charity trustee Miles Toulson-Clarke said Hannah would be amazed to see the prominence her charity has achieved. Olympia, The London International Horse Show runs from December 12 to 18. Donate to Hannah’s Willberry Wonder Pony or buy show tickets through www.olympiahorseshow.com or the box office on 0871 230 5580.